HEADING off on Christmas holidays this year, I left a list of things to save in case we were flooded. Was there any cause to be worried? Not really, it was just that time of year and I live in a flood zone. But I'm sure, I'm not the only one in Emerald who thinks that way. i had only been living in Emerald a couple of months when the flood hit. Working at the paper and hearing story after story from people who had lost everything but could still crack a smile floored me. It was evidence of a town that won't let a disaster wipe out their spirit. 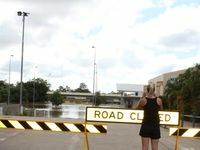 THIS year marks the fifth anniversary of the 2010/11 floods that saw widespread devastation throughout the state and much of Emerald. 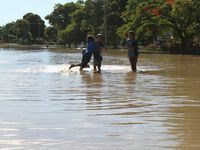 Despite the destruction and despair the disaster brought, it is the sense of community spirit that stayed long after the waters receded that Emerald residents reflect on during the anniversary. 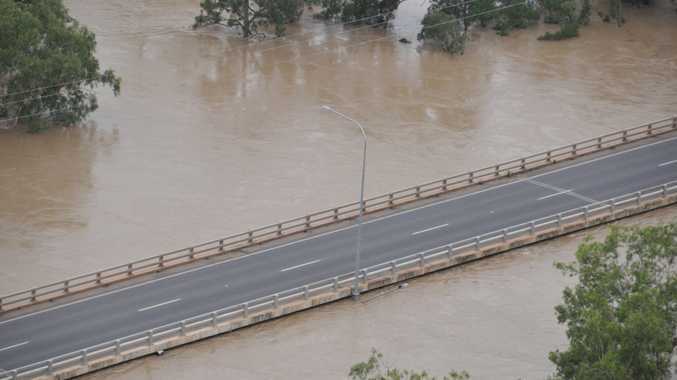 Emerald resident Jodi Pike, who had her house, two hairdressing salons and an investment home all go under water, said the community spirit shone brightest when remembering the disaster. "The community spirit was excellent, it brought the town together," Jodi said. "It doesn't seem like five years. "It's gone very quickly and we've moved on. "These things make you stronger." Jodi was full of praise for the community and the businesses who went out of their way to help in whatever capacity they could. "It makes me realise we are a community," she said. "It reinforces the importance of supporting local businesses." It was the community spirit not just during the floods but in the months that followed that Jodi remembers, as residents supported her hairdressing business. \Forced to reduce to one salon while the other was under repair thanks to flood damage, Jodi had to fit 20 hairdressers from two salons into one. "I was able to retain every staff out of it, it wasn't the most comfortable but clients were very understanding," she said. "It was only the community supporting us that saw us through." 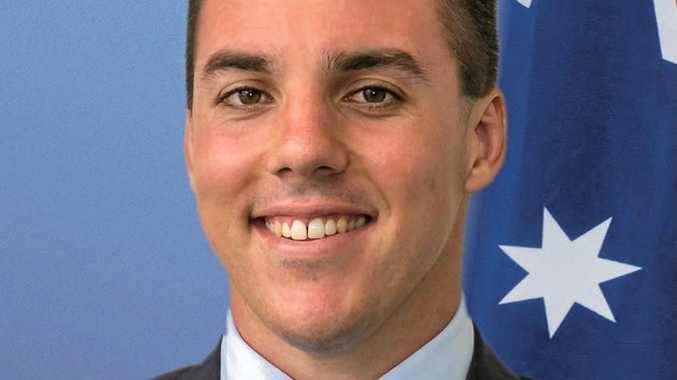 Central Highlands Mayor Peter Maguire said looking back on the floods he remembered worrying over people's psychological welfare as they were evacuated and some had their houses flooded. 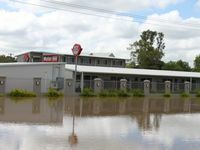 While Cr Maguire was not flooded, he and his family had to evacuate and said there were roughly 1100-odd houses and about 400 businesses impacted by the flood, some of which were also impacted by the previous flood in 2008. Another big issue he reflected on was the financial impact it had on residents. Cr Maguire said he heard of some insurance costs increasing by 300-400% and in one case it was a 700% increase. "Some didn't even issue new policies," he said. "In my mind that is discriminatory." Cr Maguire said the floods were still impacting residents, playing on people's minds every time it rained. But if there was something positive to come from the disaster, it was the community spirit, where residents, offices, businesses all shone. "As the water receded, people offered to help clean up," Cr Maguire remembered. "Everyone pitched in to clean up." 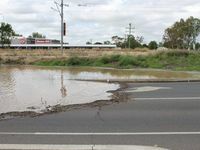 AS EMERALD resident Lesley Murree reflects on the 2010/11 flood in Emerald, the community spirit is what sticks out in her mind. Ms Murree praised the actions of residents and said she was proud to be part of a town that looked out for her family. Lesley and her family were away on holiday during the floods and could not return in time to save their belongings, but, she said, they were grateful for the selfless people who were able to help save some things. "We thought we were so clever escaping Emerald for the Christmas holidays in 2010," Lesley said. "Little did we realise how bad the floods would be. "We had to have friends break into our little unit and lift things up from the rising waters." While they were able to save things from their unit, they forgot about the storage shed holding some of their belongings. "We did lose some furniture and most of our stuff in storage including a box of wedding memories and photos," she said. "But at the end of the day, it was just stuff though. "We were grateful our family was safe."